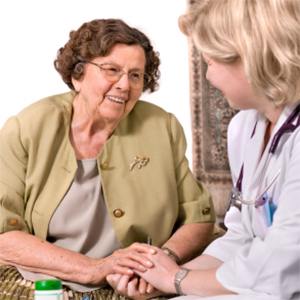 Professional, compassionate Nursing Care Services in the comfort of home! With our Home Nursing Services in Toronto, East York and North York, all of our Registered Nurses and Registered Practical Nurses have current registrations, up-to-date skills, and are fully insured. Our private nurses are specially chosen for their compassion and desire to help. With our home nursing services we will take the time, in your home, to discuss your health issues with you and explain any procedures in a patient and respectful way. We provide overnight nursing care services, nursing live-in, and nursing care by the hour, 24 hours a day. Our home nursing services can be provided at home, in retirement homes, long term care facilities, as well as in hospitals. Possess a valid, unrestricted nursing licence to practice in the province of Ontario. Possess a Cardiopulmonary Resuscitation (CPR) certificate. Provide evidence of flu shots. Be screened for Tuberculosis (TB). Have completed the Workplace Hazardous Materials Information System (WHMIS) education. Have had a recent Criminal Record Check. Contact us today for a Free In-Home Consultation with a Nurse, or to find out more about your In-Home Nursing Services Options in Central Toronto, Toronto West, East York and North York.